Dynamic Freight Haulers continuously seek to develop new solutions for our clients' trade requirements. We are located in Brampton, Ontario, Canada and provide excellent LTL, FTL and Guaranteed Expedite service to customers in all the major North American markets including Mexico. We are also available 24 Hour and 7 days a week dispatch. All of our drivers are licensed trained truck drivers and handles each job professionally, and we provide ongoing education and training to our personnel to ensure that they are properly prepared to anticipate change and respond to a constantly evolving environment. We recognize that providing the highest quality of service is the key to our clients', and ultimately to our own, success. From Canada to USA and back: We offer fast, reliable and accurate delivery directly to your doors, factory and warehouses. With our 24/7 dispatch, and over 10 years of experience, our team is customer-focused with constant load tracking to keep you informed. Our professional service technicians are courteous, and bonded drivers. Your cargo is our top priority. Every shipment is handled with care by our professional and highly skilled personnel. We ensure that your cargo will travel and arrive safely. Embrace new technologies, keeping abreast of emerging market issues, trends and practices. 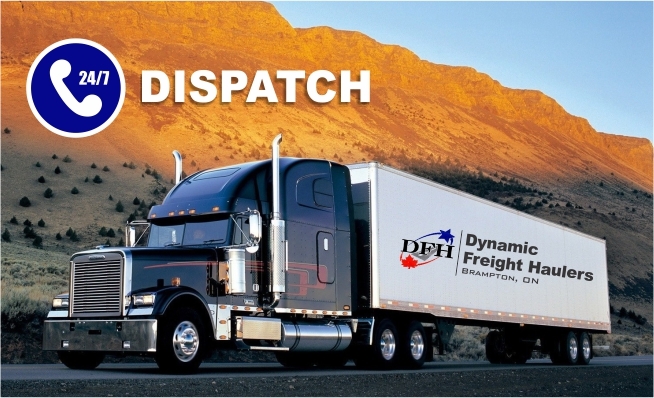 Dynamic Freight Haulers is U.S. Customs Bonded Carrier and Canada Customs Boned Carrier.